Working on this batch reminded me of how much I enjoyed this series, and this was while knowing the best is yet to come (if CC ever gets adapted). Episodes 1-5 and 7-8 have been v2’d for various tweaks and fixes, as per usual. I think it’s confirmed that we will be working on the BDs for this. Episodes 1-4, 6-7 have been v2’d for consistency fixes (OP kara etc.) and a few other minor things. There wasn’t actually that much stuff to fix, but things that aren’t top priority (like TV batches) tend to get delayed when spare time is at a premium. We’ll presumably sub the extra DVD episode when it comes out, and I think we’re doing the BDs for this series. The first volume should land in due course. P.S. : If the subtitles look weird/wrong or don’t appear at all, you’re most likely using an outdated codec pack/player. Installing the latest CCCP should fix the problem. Episodes 1-3, 5, 8, 10, and 13 have been updated to fix typos and minor typesetting errors. We won’t be working on the BDs but FFF will be, using our scripts. That’s another project we wave goodbye to. Thanks for choosing us for this show! 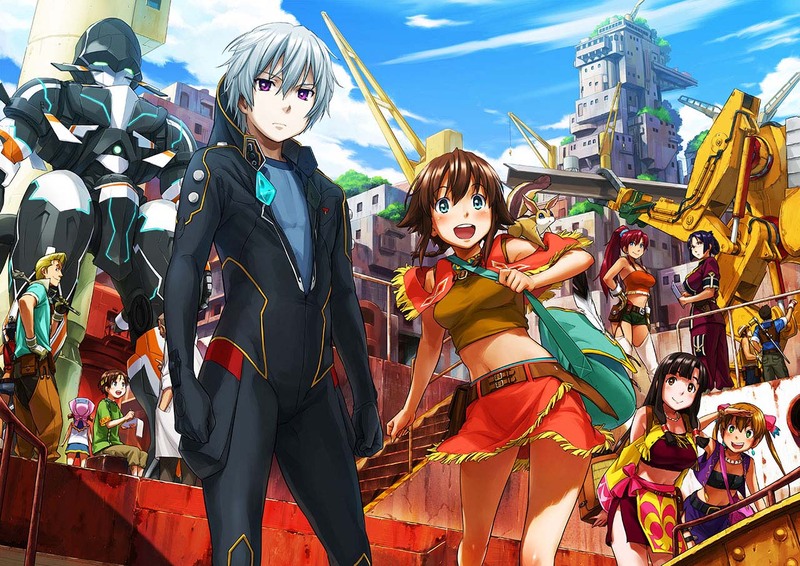 And I’m back with the Gargantia batch! This was definitely my favorite show of last season, and I hope you all enjoyed it as well. Episodes 1-8 as well as 11 and 13 have minor (sometimes very minor) script fixes. Episode 2’s ending has also been replaced with the proper ending sequence from the TV airing (along with the endcard). You can get patches to update the original releases here – just download, extract to the same directory, and run the included .bat file. As with previous batches, the 480p batch is simply a collection of the original files with no changes, though I did remux episode 1 into an mp4 container for consistency. Huge thanks to our all-star team for delivering a top-tier release with consistent efficiency and quality. Two years after the show finished airing on Japanese TV, the stars have finally aligned correctly and the Ano Hana batch now sees the light of day. Better late than never, I say! Episode 6 got a new encode, and all 11 episodes have script updates. This batch is encoded in 8-bit because that’s what we were still using two years ago. I have no idea when THORA will finish the BDs, but last I checked (and this was months ago) they had one episode left to finish. It won’t take another two years… I think. Please enjoy! If you’ve never watched this series before, do it. It’s good. Here’s the SAO batch! It only took me about half a year to finish it! Sarcasm aside, I did put a decent amount of man-hours into preparing this batch. Episodes 1-13, 15-18, and 24 have all been v2’d and given an extra QC pass from yours truly. You can find more details of what was changed after the break. It’s pretty unlikely that we’ll be working on the BDs at this point. Late as this batch is, please feel free to use our scripts for your own BD releases and the like. Please enjoy, and thank you for following us for this show!